eb Walters is traveling the East Coast at twenty five thousand strokes per day. She began her voyage this July in Maine. Over a million dips of the paddle later, she arrived in Oriental. Deb is a grandmother. She is paddling toward Guatemala in a wood kayak. Deb Walters: grandmother, retired professor, fundraiser, doctor (Ph.D. in Neurocommunications) and …kayaker. Deb glides under the Oriental Bridge after completing the 23-mile Hobucken-to-Oriental leg of her trip. Deb’s kayak is built to a Chesapeake Light Craft design. Eighteen feet long, it’s designed for voyaging, not sprinting. Seventy-five pounds empty, it weighs twice that when loaded with camping, electronic, safety and personal gear. Water tight hatches access storage compartments. Elastic cords secure loose gear on deck. One thing the kayak lacks is a name. Instead, it’s covered from deck to waterline with sponsors’ logos. Now landing in Oriental, the Broadreach Public Relations, Chesapeake Light Craft, Polaris Capital Management, L.L. Bean, Yakima, NRS, Maptech kayak. 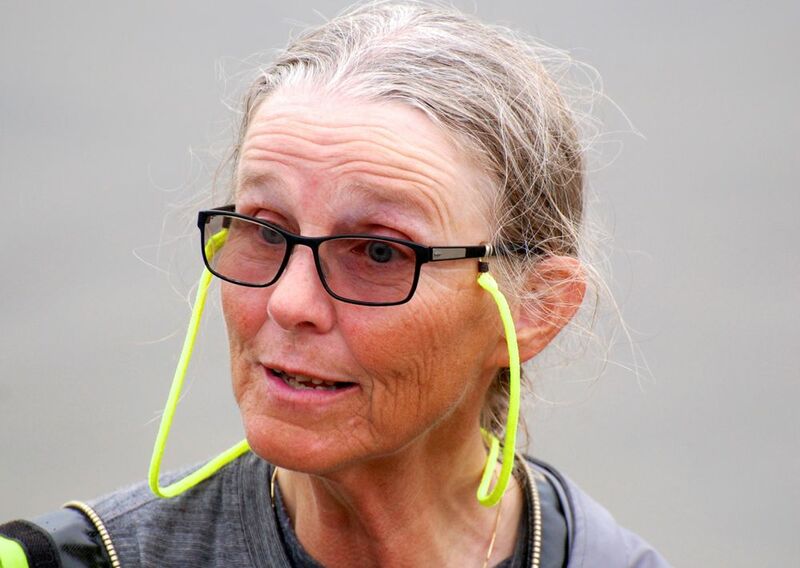 Four months in to her voyage, Deb’s website reports she’s raised almost $80,000 of the $150,000 she hopes to raise for the Safe Passage school in Guatemala City. Deb and her husband Chris live in Troy, Maine. A retired professor and grandmother of two, she started kayaking in 1981. She’s paddled in the Arctic, Yukon, the Atlantic Maritimes and Mexico. She’s dealt with ice off of the coast of Ellesmere Island and won first in division at the Everglades Challenge, an expedition style small-boat race. A few years ago, Deb went to Guatemala on a Rotary mission. She visited the Guatemala City dump. “The air was full of dust and there were vultures circling in the sky,” she says. Children were picking through the garbage for items of value. Deb met some of the children’s parents. She was struck by their grit and determination – especially the mothers’. It impressed Deb how they wanted their children to have better lives than what they could make picking through garbage. That meant sending them to school. She teamed up with the non-profit Safe Passage. The organization operates a school in Guatemala for children of the garbage dump community. Deb would go on a fundraising mission. 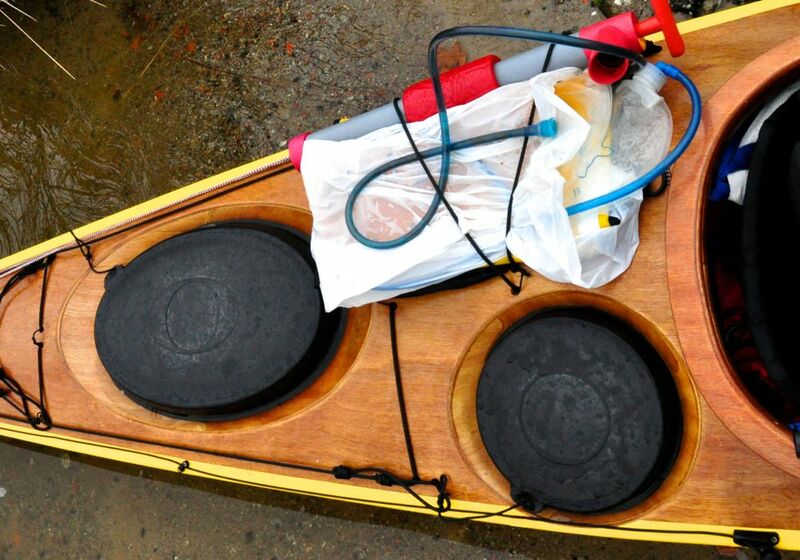 She would travel from Maine to Guatemala in a kayak, paddling as much of the way as possible. The money raised would go toward adding third and fourth grades to the Safe Passage school. Deb had a kayak she thought would suit her mission. She’d built the hull and deck. To make the craft suitable for her upcoming mission, though, it needed modifications. The staff at Chesapeake Light Craft, who’d designed the boat, agreed to help. On July 11, she departed Yarmouth, Maine. The plan was as such. Deb would paddle to Florida, arriving there in April. There, she and her kayak would board a sailboat. Joining them would be the president of a global capital management company and the board president of the Safe Passage non-profit. Together, they would sail for Belize. 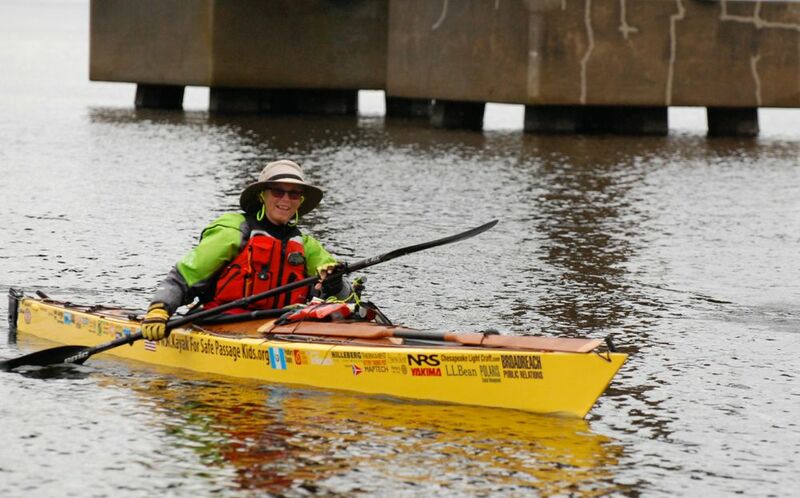 Upon arrival, Deb would relaunch her kayak and paddle the remaining 200 miles to her final destination in Guatemala. Halfway and the bear: Deb shows where she saw the first bear of her trip. 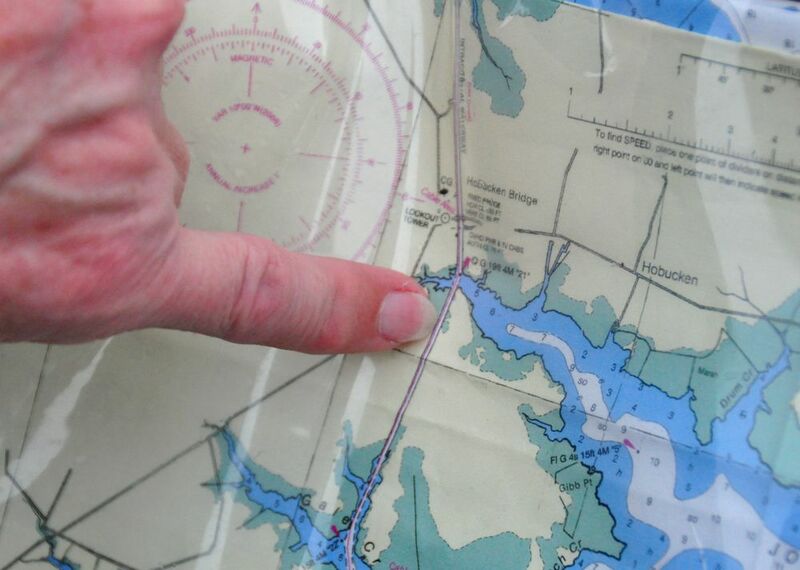 It marked the halfway-point between Maine and Florida. 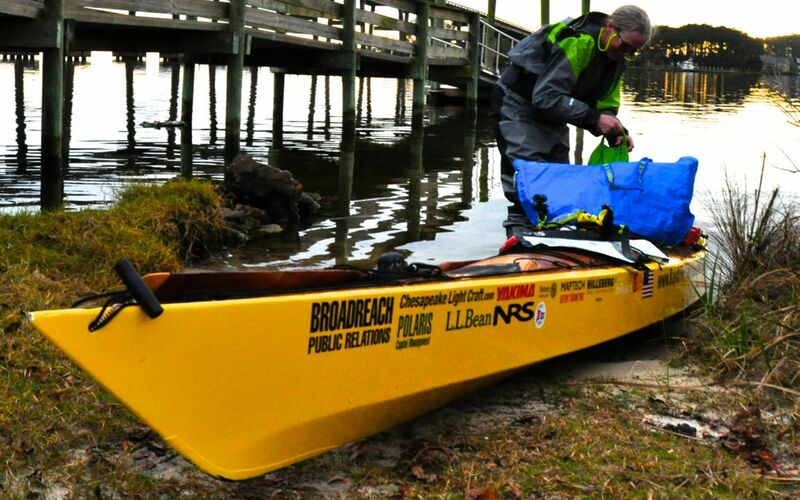 By first week of December, Deb had paddled half way down the East Coast. That day, outside of Hobucken, she saw the first bear of her trip. On December 6, almost four months after she departed, she arrived in Oriental.